Repairing homes, revitalizing communities, rebuilding lives. Rebuilding Together Northeast Ohio envisions safe homes and communities for every person. Looking for an opportunity to get involved in your community? Want to make a difference in the lives of those in need? INTERESTED IN HELPING TO stabilize and revitalize NEIGHBORHOODS? Join the [Re]Build movement and become a [Re]Builder! When we come together we increase our impact. Sponsor a program or event, or partner with us to help us serve more homeowners in need. Skilled or unskilled, we have a job for you. 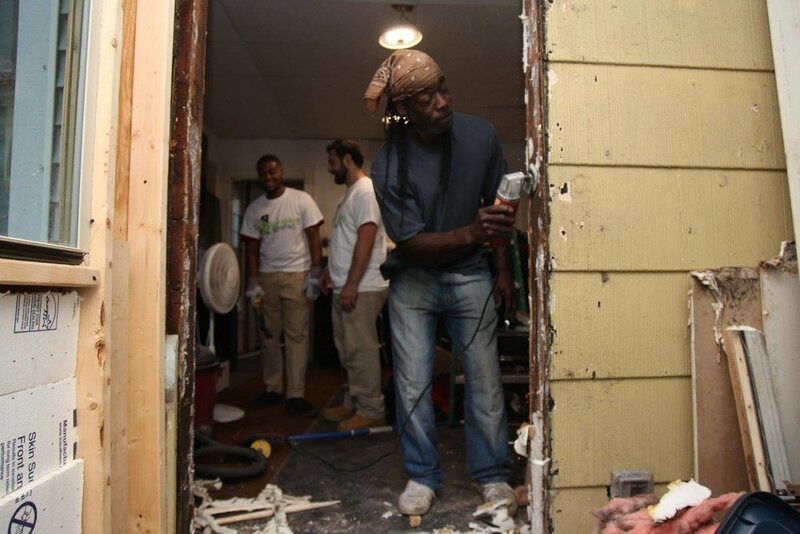 Join our network of volunteers on a mission to repair homes and revitalize communities. Show your support for safe and healthy homes and communities. Whether it’s a donation of tools, materials, time, skilled labor or a financial contribution, every bit helps. North Office: 9100 Bank Street, Unit B.